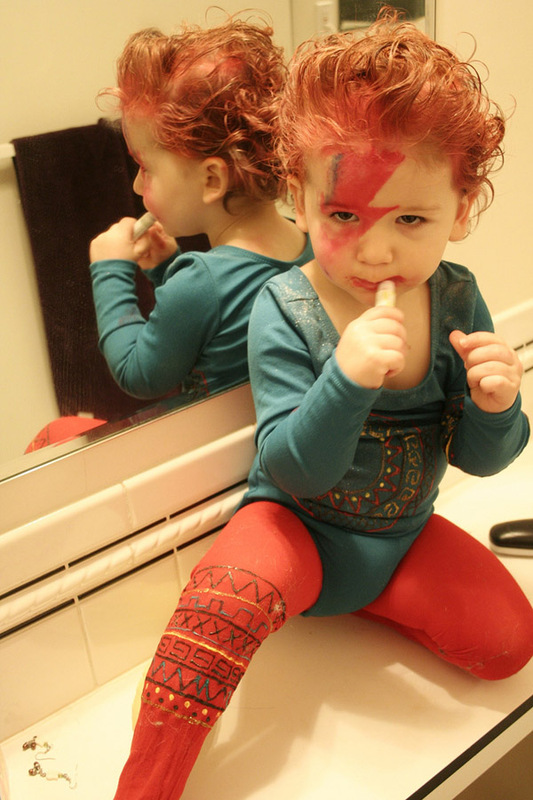 This is Sarah Ivy’s son Finn as David Bowie in his Ziggy Stardust phase. My friend Alix held her Fourth Annual Modern Kiddo Costume Parade, an online ‘parade’ of fantastic homemade Halloween costumes that crafty parents made for their kids. I’ve shared a few of my favorites here but there’s lots more to be found at Modern Kiddo (and more from her round up from last year). 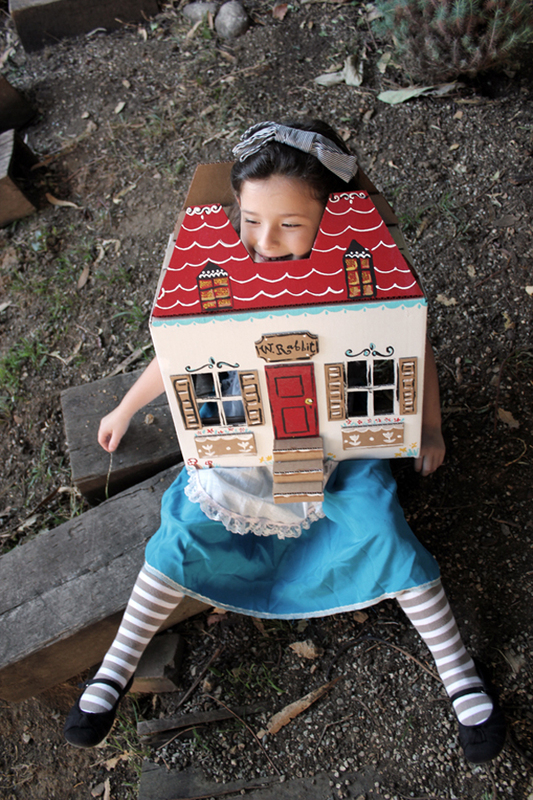 Bela, the daughter of Karen Salazar of Misha Lulu, is dressed in this great Alice in Wonderland costume. What sets it apart is that it includes Rabbit’s house, which Bela is popping through! 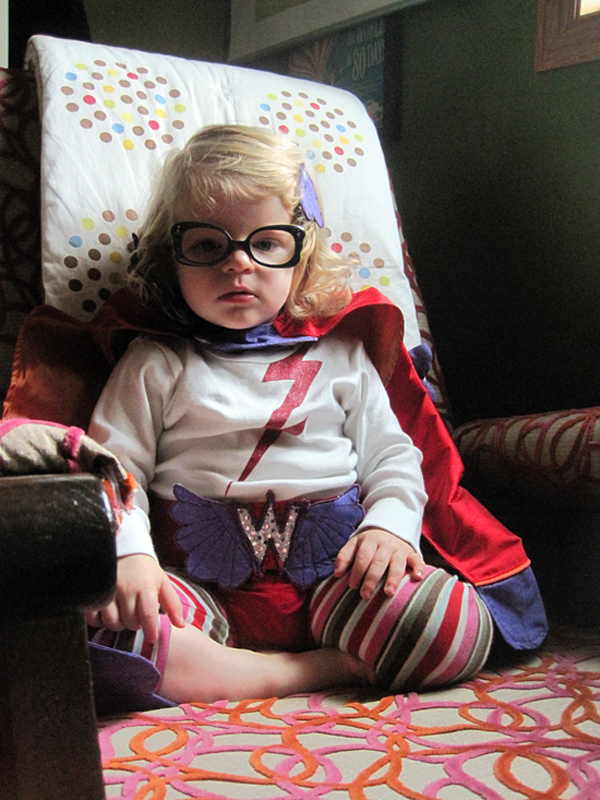 This is Super Wren who was transformed into a superhero by her mom Mari of Small for Big. 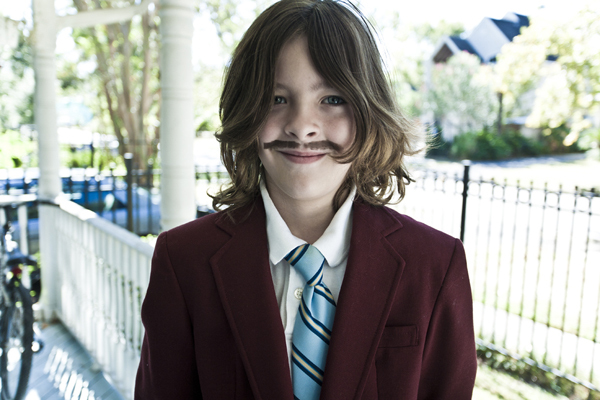 Julian, son of Miss James, donned a ‘stache and dark red blazer to dress like Anchorman’s Ron Burgundy. 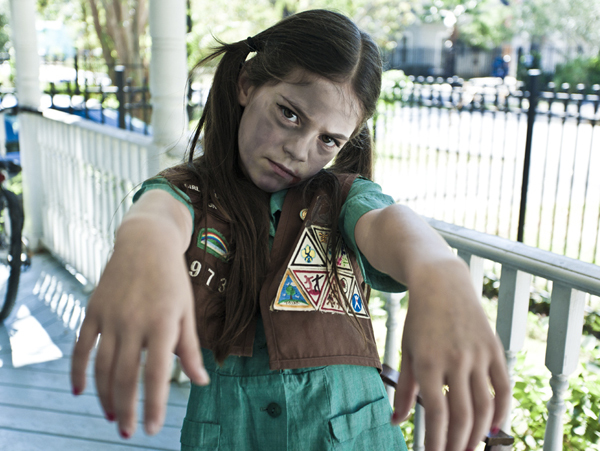 And Julian’s sister, Milla, dressed as a Zombie Girl Scout. 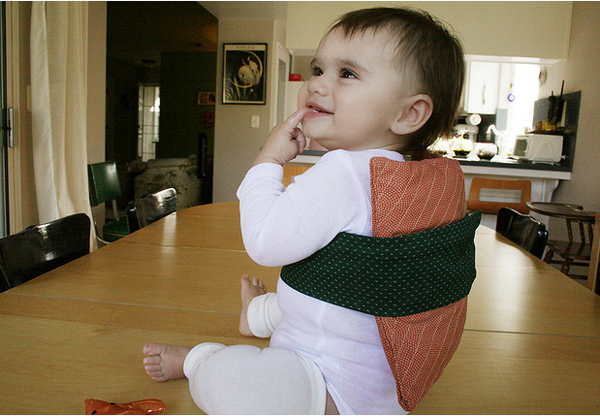 Carrie Anne of Little Big made her baby even more delicious by transforming her into Baby Sushi.